Awesome work! Much appreciated, hopefully the bump mapping works in GLIDE. High poly models would be great as well. Thank you! 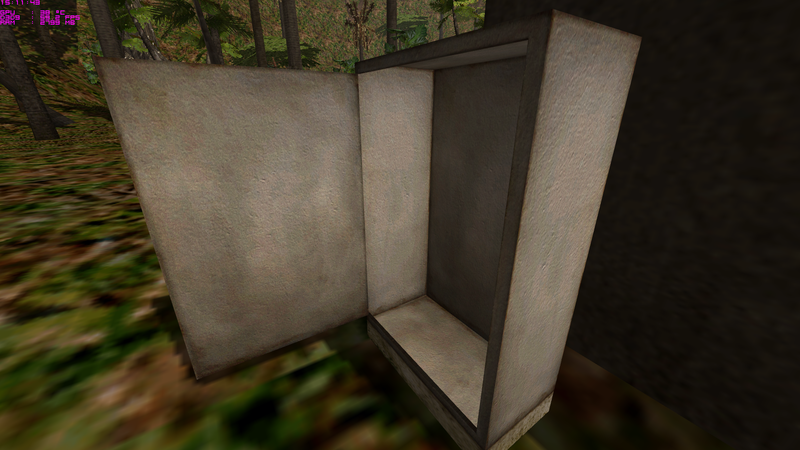 In fact perhaps in between my Oblivion modding I can start helping out with these textures. I'm mighty handy with the GIMP and Photoshop. I don't really need help with the textures since I kind of just redo them as a side project when it comes around in other projects. In fact, I'd completely forgotten that I'd even posted about them in the first place! I guess I'll get some more screenshots up of more work that I've done on them, then. And I'll have to check out your Oblivion mods then - been playing tons of that recently since I gave up for the billionth time on trying to beat Morrowind. Can I have a link to a page with your mods? 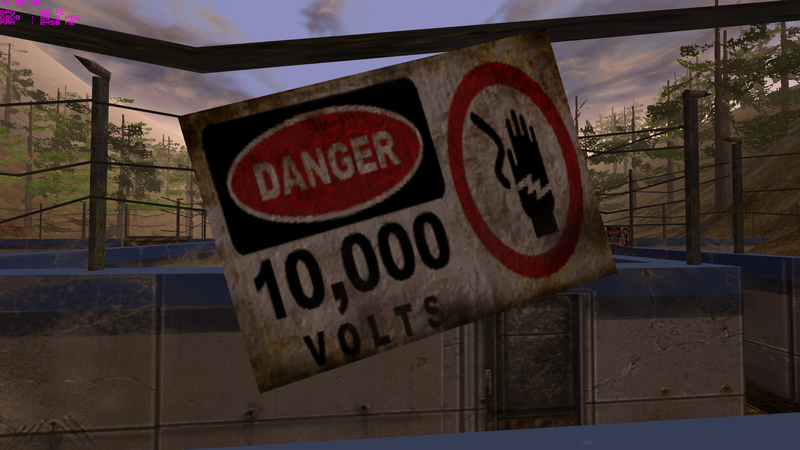 The warning sign on the electric fences. I changed it to be accurate to the movie because the old one didn't feel right. The last monorail station sign. 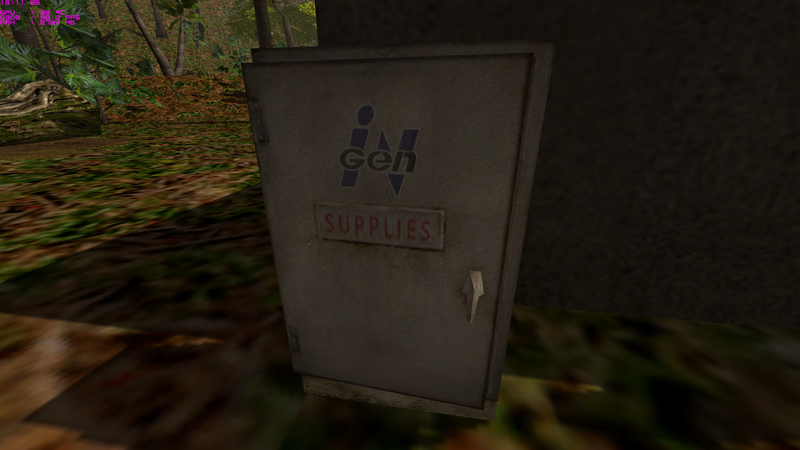 Supply locker. The screenshot was taken in build 96 since I couldn't find a version with the door anywhere. This texture might need a bit more contrast. 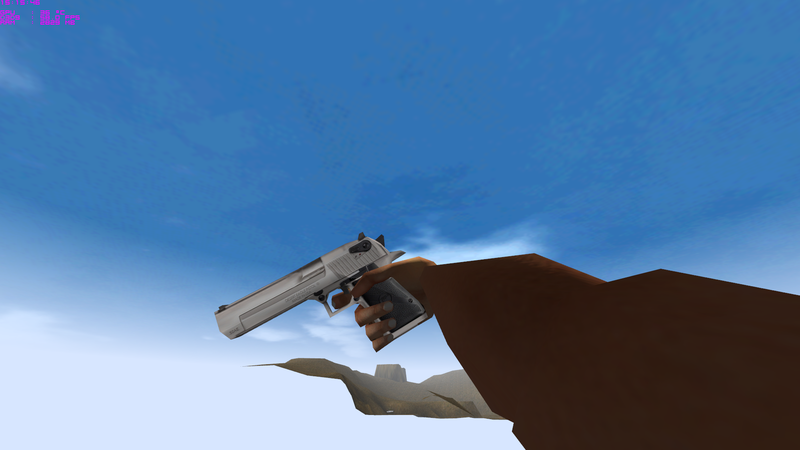 Desert Eagle. It was hard to get a good screenshot of it, and the bumpmaps didn't show too well, but it looks good. I did a bit of recoloring on some parts to match the screenshot I used for reference. 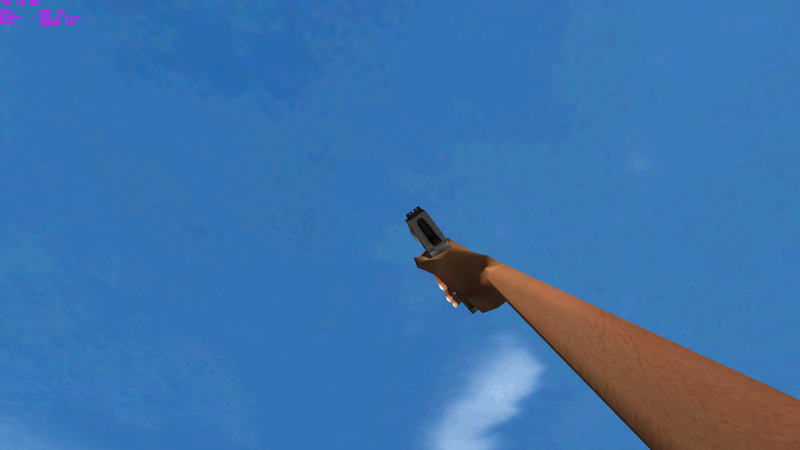 The text on the side is accurate as well, for all you gun nuts, and I added the little aiming dots to the sights. 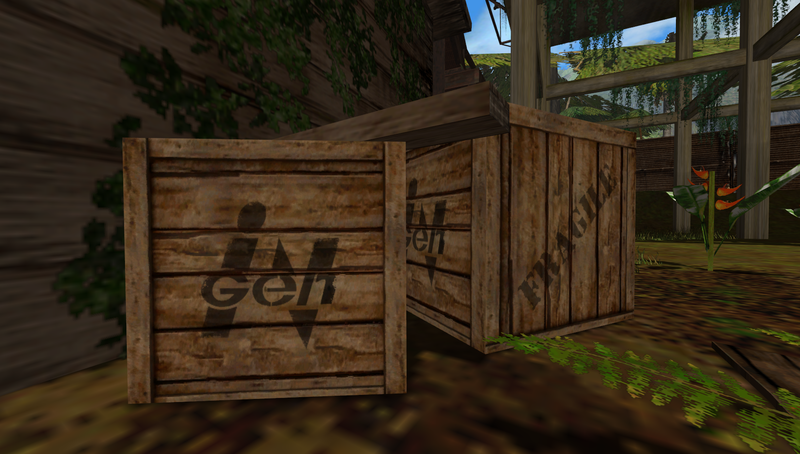 And a better shot of the crates, without the original bumpmapping to mess it up. They could use a bit more depth to the bumpmaps as well. Sweet work! I don't suppose you could post a comparison image of the old and new crate textures? My Tres eye isn't quite accepting the new one..
Is this texture pack finished? Or is it a work in progress, because so far it looks great! Can't wait for a download! It's very unfinished. I only touched up a small number of textures in the online release, though I do have a few more in store that haven't been released yet. Where is the V0.1 release? I don't see a download for the textures you did create. The screenshots look so awesome! I am surprised you are the only one trying to create HD textures. I would try, but I know nothing about changing and amplifying textures. Great work, at any rate. Nedry, I am curious. What are ... your areas of expertise? . Oh alright. I am totally unappreciated in my time! I can run the whole park from my room, with minimal staff, for up to three days. You think that kind of automation is easy? Or cheap? You know anybody who can network eight Connection Machines and de-bug two million lines of code for what I bid this job? 'Cause if they can, I'd like to see them try! . . . . . Wait, I'm not even employed!! Thanks! Um I think the 0.1 link was broken, so I took it down. I'll have to re-upload it as V0.11 or something with the additional textures. I'm sorry about your financial problems, Dennis, I really am, but please, don't complain about them in this thread! So this would be my expertise, finding lost links! Luckily google had the link in the metadata description at the bottom. So now you can re-link this wonderful texture pack! Thanks again for making this. The download worked and I have the files, but how do I install them? Do I put the textures in my tres cd directory or the actual game directory in the DreamWorks Interactive folder? I didn't see any information in the readme about installing texture packs. Any ideas? You drop them in the Data/TexHW/Map folder, which can be found by going into the Trespasser install directory. If the TexHW/Map folders aren't present, you have to create them. They only work with CE, and I *think* you have to have them enabled in the CE ini (not sure if it's like that by default). 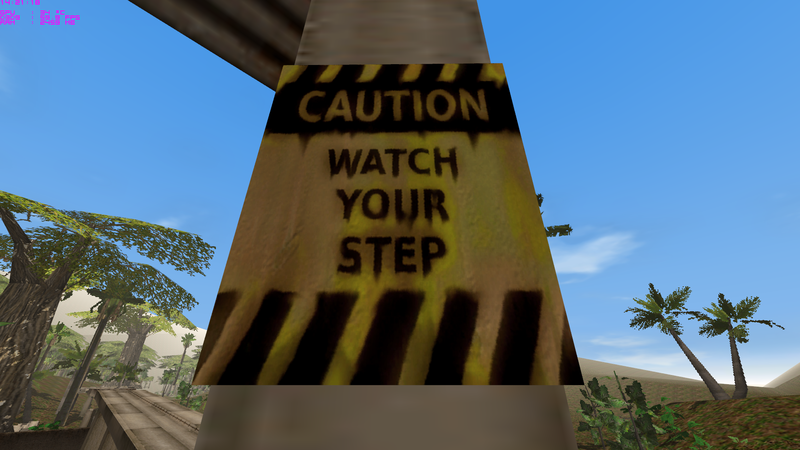 ; quality/resolution textures than the game can support using default textures packaged with levels. It is enabled by default. I figured out why it wasn't working. I had it installed in the Dreamworks Interactive directory instead of the trespasser cd data directory, it should work now.